Journalist Elizabeth Lane is one of the country’s most famous food writer. In her columns, she describes herself as a hard working farm woman, taking care of her children and being an excellent cook. In reality she is an unmarried New Yorker who can’t even boil an egg. The owner of the magazine she works for has decided that a heroic sailor will spend his Christmas on her farm. Miss Lane knows that her career is over if the truth comes out, but what can she do? This is such a special Christmas movie that I save it till almost Christmas Day to watch it. 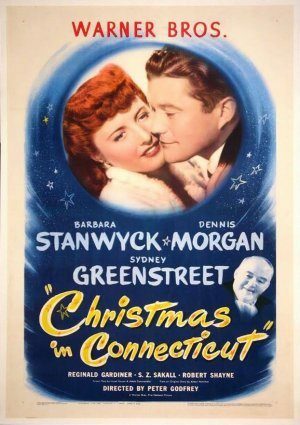 Barbara Stanwyck is at her funniest best. She is the reason the movie is so special. It gives you that old fashioned Christmasy feeling you just don’t feel nowadays. I love it! I own it, and I watch it every Christmas season!